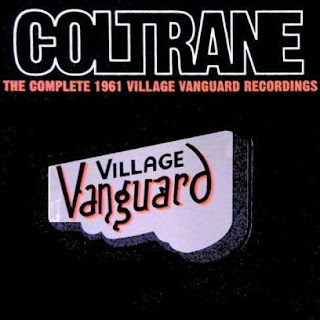 "Live at the Village Vanguard is a 1961 album by jazz musician John Coltrane. One side of the original LP was devoted to "Chasin' The Trane" which has been described as one of Coltrane's most important performances. In a 1966 interview Coltrane recalled that he had "listened to John Gilmore kind of closely before I made 'Chasin the Trane'." The Village Vanguard engagements were a focal point for Coltrane's partnership with Eric Dolphy. Other recordings from the concerts appeared originally on the Impressions LP. Interest in the results of that collaboration has led to subsequent extended reissues of the material — first in the 1977 issue of a double-LP of The Other Village Vanguard Tapes and then in the 1997 4-CD issue of the complete sessions." 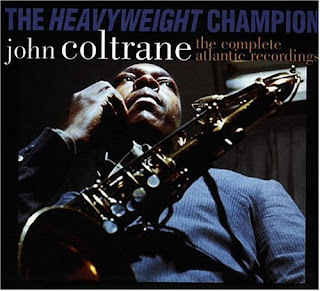 "The Heavyweight Champion: The Complete Atlantic Recordings is a 1995 box set by ... John Coltrane. It features all of the recordings Coltrane made for Atlantic Records, spanning January 15, 1959 to May 25, 1961. During Coltrane’s Atlantic years, he made important recordings such as Giant Steps and My Favorite Things, recorded albums with Milt Jackson, Don Cherry, and Eric Dolphy and made his debut on the soprano saxophone." Unbelievable Collection, essential for anyone who rides the Trane on a regular basis. Recorded between January 15, 1959 and May 25, 1961 in New York City.